Prague is a well know tourist destination in Central Europe. It is the fifth most visited European city after London, Paris, Istanbul and Rome, with more than 6.4 millions of visitors annually. It is home to famous Prague castle, The Charles bridge and astronomical clock at the old town square. All of this and more you can find on any better web site or hear from number of tour guides. But what do you do there in the free time between visits of the famous sites, where do you eat and drink and what is beyond the historical city center? Let’s get one thing straight, I do not live in Prague or have ever lived, nor have I visited it numerous times. I’ve spent two and half days in it, but if ones prepares a bit in advance researching over the internet and with help of mobile guiding applications (any will do), many interesting places can be found. Spoiler alert, places will mostly focus on vegetarian diet and drinking places. Unijazz is an association that exists under this name since 1987 that also operates with one of the bars in Prague. The street and number is easy to find, since it is close to the city center, but once you find it, it gets tricky. Unless somebody explains you how to get to it, it is close to impossible to understand where it actually is. Basically it is located on the top floor of a building with regular apartments where people live. In order to get into the building you have to buzz the door phone to manage opening the entrance door. Of course there are cameras connected to the bar, so they can choose who to let it in. At that point you might ask your self do I really want to go there? No, worries it will pay off. Of course there is no elevator, so you have to climb the top on foot, using stairs. Climbing the floors you will see notifications not to be loud and not to disturb the neighbors. Upon arriving, first things to notice is the randomness of the place. It is in fact a huge apartment with a bar and rooms filled with tables, chairs, sofas, arm chairs, all of course different from each other in size, colour and shape. As it happened to be, first time around we were there, the place was almost full. We managed to grab two small armchairs and used an old nightstand as improvised table (nobody complained so it was fine). The evening was dedicated to jazz (surprise, surprise), but there was a twist. Three older men prepared one of the tables, handed out playlists, printed on paper and then started playing old jazz tunes from CDs, one by one, with some explanations in between (in Czech of course). Another evening there was a chess tournament. So I guess, events such as these are common there. All the tap beers they had, I have never heard about before, so we started tasting them. All of them stronger from our regular Serbian beer, so I am guessing more than 5% but still with a nice taste. In addition to drinks, snacks are offered. Homemade humus with bread is a must try. To add to all the things found in the place, there was a parrot in the corner of the room, giving his two cents to the crowd in a screeching voice. This one we found randomly, while discovering the town. Upon visiting Portheimka park and the nearby St. Wenceslas Church, we decided to go for the first bar we can find and it just happened to be U Věstonického Venouše, a pub hidden in the basement of the nearby building. After seeing this place, I am ever closer to believing that every town has its own Vilenjak (basically a pub where locals are regularly gathering, with unique looks, usually having the owners working as bar tenders and of somewhat older interior, but with overall welcoming atmosphere and people willing to interact even if you are a foreigner). Right upon entering the place there is a bar in front, containing all kinds of Czech beer and snacks ranging from bagels to chips. There are two spaces stretching left and right from the bar, with curved ceiling, covered in bricks and random old photos, posters and postcards. One of the places even had a machine which could measure your alcohol levels on your way out. Again we randomly discovered place in the middle of day, while, I must admit, we were super hungry and would settle for far less. Mlsná kavka seemed nice and we figured out that it serves vegetarian food. Additionally, it had books (even in English) all over the place and not just for reading, books were used as decoration, stacked, holding the bar tables on top of them. It turned out it is solely vegetarian restaurant (I think I ate fresh salad with rockets and baby spinach salad, goat cheese, nuts, cranberries and home made bread and a soup beforehand). The place also has it own craft beer, small bakery spot, various coffees (I am guessing fair trade). On top of it all, we figured out that the restaurant provides jobs for people less-favoured on the labour market. 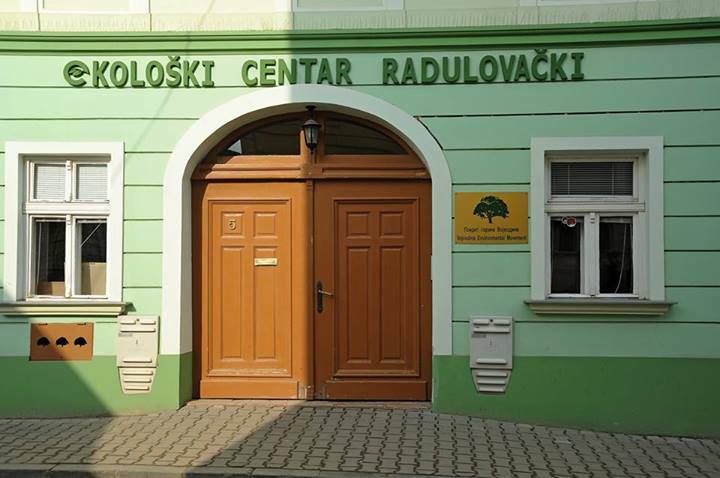 In fact civil society organisation, Green Doors, brought the concept of training cafes in the Czech Republic, where people with mental illness can regain self-conﬁdence and skills important to return to the open labor market. Ok, this one we had to google before find it. You would be amazed how many meals a raw vegan (so basically no meat, eggs and milk, no heat processed) menu can contain and all of them looked nice. And they taste as nice as they seem, but to be honest I didn’t feel full after eating (as far as I remember it was a vege burger with some sauces). Considering what we were buying on the trip this meal was by far the most expensive. So my advice is, unless you would really like to try out a good raw vegan kitchen, pass it, go for the previous one. At the end I figured I am just gonna share some good old photos of Prague in winter that we all know, moving down from Prague castle to Vltava river. Enjoy.